This method is specifically intended for the framework-res.apk, but still you can use this method for any APK. Actually, the decompiling, editing, recompiling or signing yield a number of results, for example you can enable the onscreen buttons on any ICS ROM further you can change its size, edit the taskbar and even more. 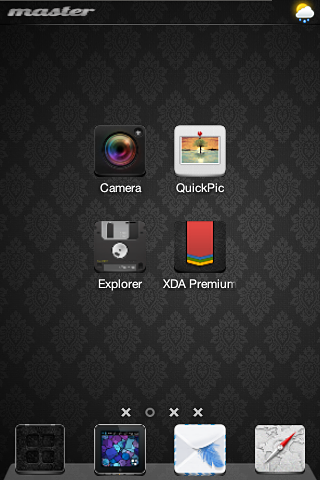 Full credits will goes to the XDA Senior Developer theDroidfanatic who has come up with this work. Some resource files, you could find them here. 1. Extract all the files into one folder. Also, place the APK you want to edit in the same folder. The folder should now have three items. 2. Inside the folder, press ‘Shift’ and right-click on an empty space, and select open command window. 4. You should see a couple of things appearing in the command window, just wait for the process to finish. 5. When it is finished, close the command window. 6. Inside the folder where you extracted all the files and ran these commands, a new folder should have formed, with the name of the APK you decompiled . 7. Inside the folder, now all the contents of the APK, will be there and now you have successfully decompiled the framework-res.apk or any other APK file. 8. Open a command window using the same method as step #2. This will place an apk file in the directory with the apktool.jar.